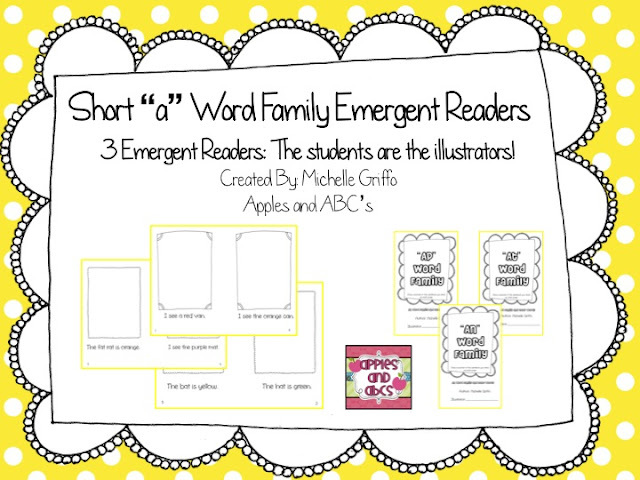 I am teaching my students to read by introducing different word families (rhyming words). I normally start with all of the words that rhyme with "at." I show them that we can change or put a letter before "at" and it gives us a new word. The students get so excited when they learn to manipulate letters to make new words that they can read independently. The only thing that is more exciting than that, is actually being able to read a little emergent reader. It is almost impossible to find clip art of word families. 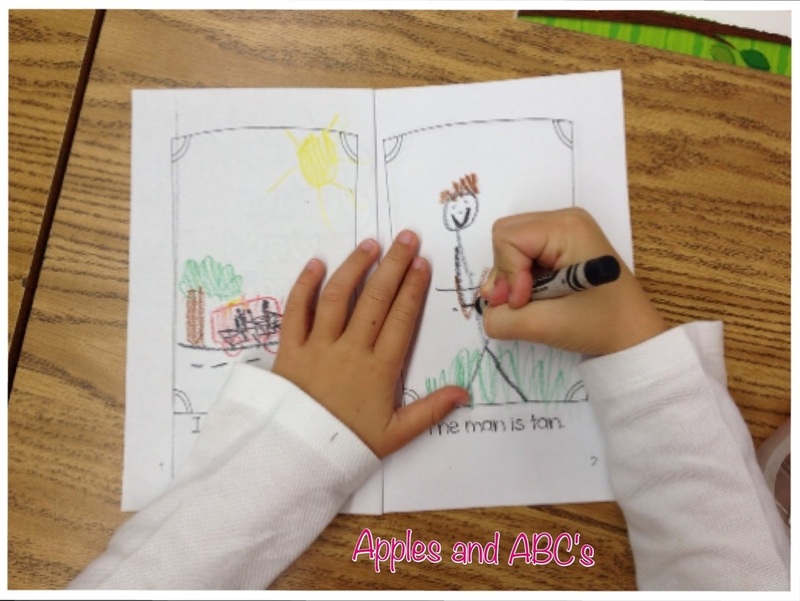 This inspired me to make a set of Short "A" Emergent Readers where the students read the words and THEY become the illustrators! Here is my first set of short vowel emergent readers, using the words families: at, an, ap. I used common sight words, color words, and words from the different word families to make a 6 page book for each short "a" reader. Here are some sample pages that the students in my class illustrated for the book. 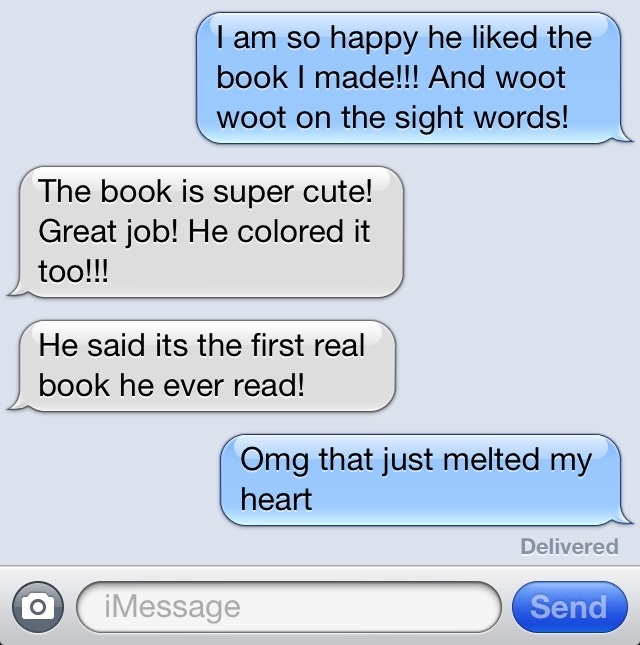 My students were ecstatic to read a book that they got to create. After we read our own book, we switched books with a partner. They read the same book, but were looking at their friend's illustrations. 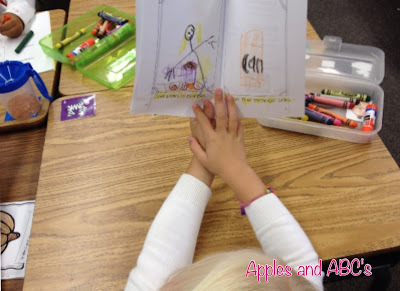 This helped practice fluency by reading the same text over and over. We will read the same book all week, and then use one of the other word families the following week. These look wonderful!! And such a great idea! I LOVE the idea of making a book and having the students become the illustrators of it. It will help them on so many levels, they will have to understand what the words are in order to make a correct illustration. I am heading to TPT now to look at what you have already made and will be looking for more to come. AWESOME idea! Great books! I like to have the students illustrate books. Then I emphasize that they are illustrators and talk about the illustrator's job. I've been working on word families with my small group of strugglers and word families are over their heads. They're still struggling to sound out CVC words.